Director: Dennis GanselWriters: Dirk Ahner, Andrew BirkinStars: Shirley MacLaine, Milan Peschel, Uwe OchsenknechtSummary: An orphan boy in search of his origin. A young princess held prisoner in deadly Dragon City. 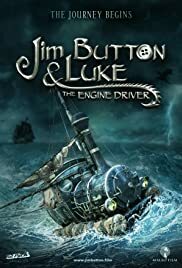 Jim and his friend Luke discovering mysterious lands on the quest of a lifetime.